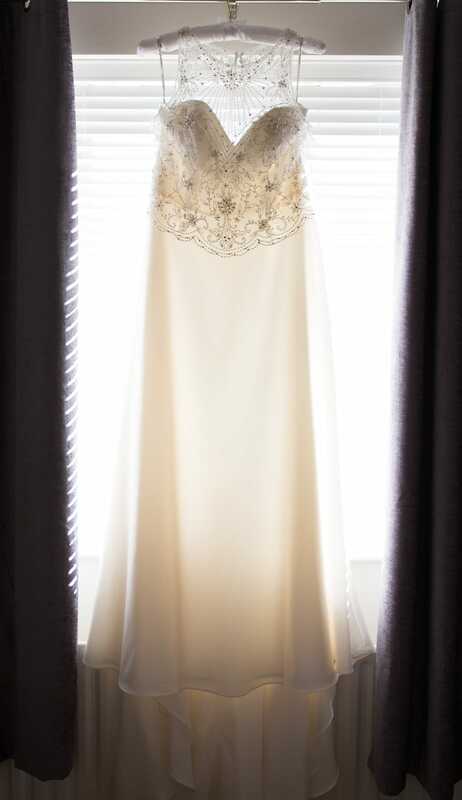 An attached sleeveless illusion jacket accented in beading and Swaroski crystals overlays this vintage inspired wedding dress creating an illusion crew over sweetheart neckline. A line town comprised of Orlando Satin. Finished with crystal button over zipper closure.